Hello crafters! I hope you all enjoyed the holidays, and found a bit of time to do some crafting. I'm looking forward to the new year and continuing to share new crafts with you. This month I'm sharing some projects using alcohol inks. These little inks can be found at your local craft store, using near the rubber stamps. They are so fun to work with, and what's best, is anyone can create a work of art. My kids have created some beautiful pieces. And what is also wonderful, is when you are working on ceramic tiles (like the projects I listed below), you can erase the whole thing and start all over if you do not like your design. Pretty amazing that this can be made for under a dollar. There is enough ink in the bottles to create tons to these! I have framed my tiles and hung them on the wall (they look great in a cluster), and I have used them to make coasters. This makes a great host/hostess gift or house warming present too! 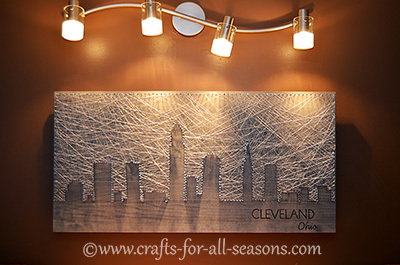 This is a variation on the State of Ohio string art I posted about last year. This time, I traced the Cleveland skyline on a piece of stained wood. I wound the string on the background of the design, instead of on the buildings themselves. I used a sporadic, mixed up pattern, and just tried to fill all the spaces. I love it when visitors like you take the time to share great projects like this. 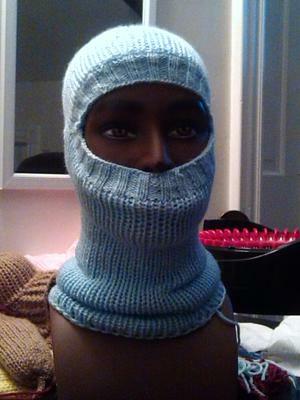 Connie kindly shares all the knitting stitches you will need to create this super warm hat. With double layers, it is sure to keep you warm this winter! 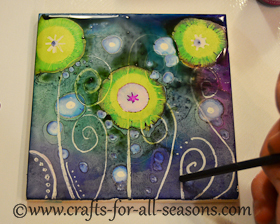 Have you tried to make a craft you learned at Crafts For All Seasons? I would love to see your photos! If you send them to me, I will feature them at the bottom of the craft tutorial page. 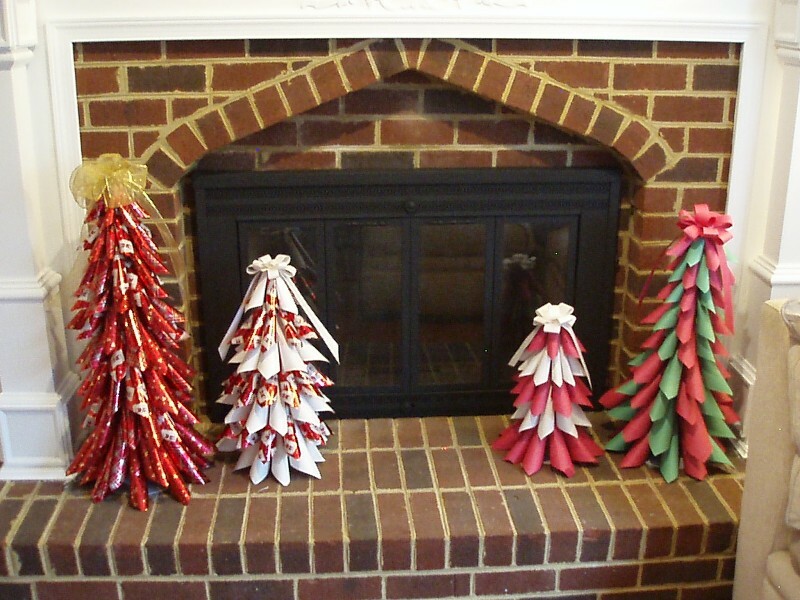 Here, Mayra sent me her picture of paper cone Christmas trees. Aren't they beautiful by her fireplace? 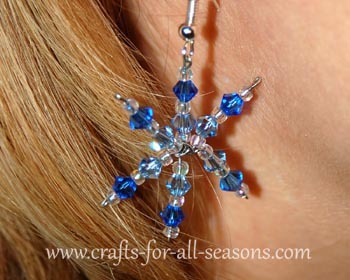 Try out making a pair of pretty earrings for yourself or a friend this Winter! Or, try out the no-sew tied fleece blanket which is sure to keep you warm. These snow covered votive candle holders will brighten your room this Winter. Click here for more Winter Crafts! 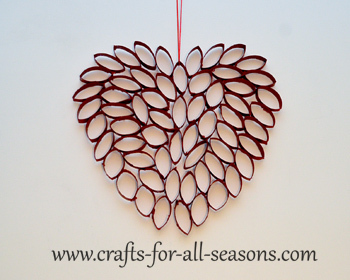 This February, try making a pretty heart to hang on the wall. It is made out of cut up toilet paper tubes! 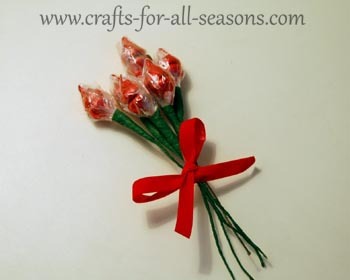 Don't spend a lot of money of your sweetheart, instead put together some of these delicious chocolate kiss roses! 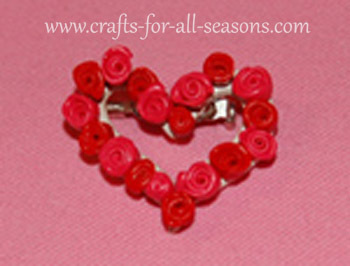 If you would like to try a polymer clay project, this rose heart pin is a perfect beginner project. 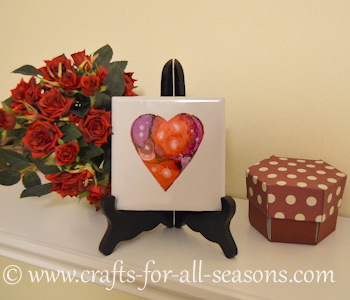 Click here for more Valentine's Day Crafts! 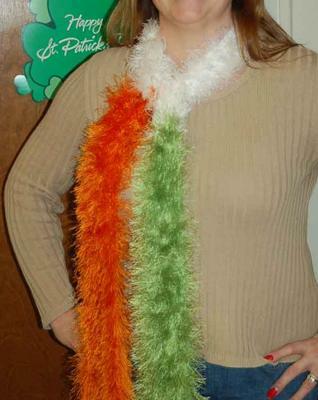 Look festive for St. Pat's with an Irish Flag pin or knitted scarf. 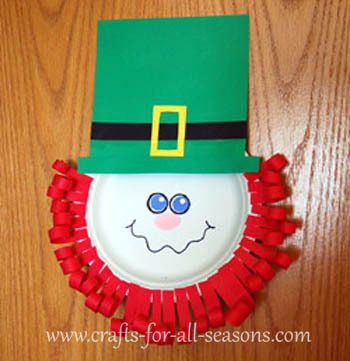 The kids will love making a paper plate leprechaun! 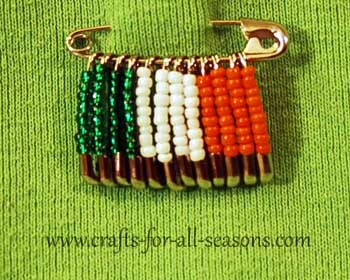 Click here for more St. Patrick's Day Crafts! Subscribers only get access to a new craft each quarter. You will need to enter a password when you follow the link to the page. The password is "love". I love working with alcohol inks. This week I thought I would experiment to see if I could create a heart stencil using duct tape. It worked great on the tile! There was some bleeding of the ink under the tape... just a bit, but it cleans up so easy with a tissue dipped in rubbing alcohol. I am displaying my tile on a little plate/canvas holder, and it sits on my shelf. These also look great in square shadow frames.